Ollie is an adorable teething buddy, a bath toy, and an friend can play hiden&seek game, can be folded like a ball. 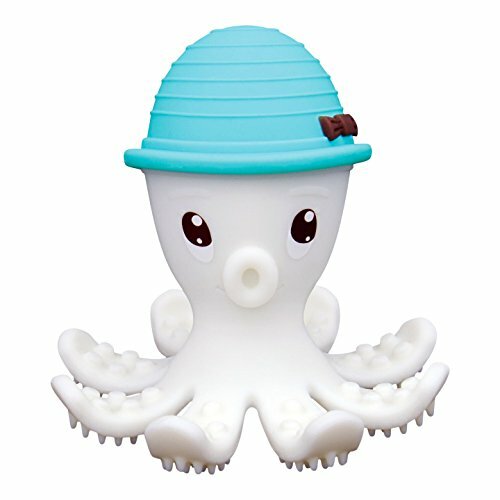 Ollie is made of BPA free, food grade silicone. 8 feet as 8 toothbrush to clean the sore gum. Soft enough to protect baby's tender gum. Ollie is bright in colors to stimulates sense of sight, its bright sweet smile will make the baby feel safe to chew on. Olie the octopus can be an ideal car display item, or an display item at any place of the house when the baby grows up. Perfect size for little hands to geasp and hold, different textures on both sides of the 8 feet to better massage the gum to relieve teething pain. Manufacturer: Dongguan Phushen Baby Products Co., Ltd. Publisher: Dongguan Phushen Baby Products Co., Ltd. Studio: Dongguan Phushen Baby Products Co., Ltd. If you have any questions about this product by Mombella, contact us by completing and submitting the form below. If you are looking for a specif part number, please include it with your message.